Deeply sweet, cleanly fruit-toned. Watermelon candy, black currant, sandalwood, lantana-like flowers, spice-toned chocolate in aroma and cup. Sweet-tart structure with brisk acidity; lightly velvety mouthfeel. The crisp, flavor-saturated finish is resonantly fruit-toned, complicated by pretty notes of sandalwood. Haraz (also Haraaz, other spellings) is a celebrated coffee growing region in north-central Yemen, west of the capital of San’a. Although Ethiopia is the botanical home of Coffea arabica, Yemen introduced the beverage to the rest of the world in the 16th and 17th centuries, and Yemeni coffee is still grown from ancient cultivars and sun-dried, often on the roofs of stone houses. Direct Coffee, founded in 2005, is a roastery located in the scenic city of Hsinchu, Taiwan. For the past 13 years, Direct Coffee has specialized in searching for high-quality coffee beans and roasting them to display their unique and distinctive characteristics. 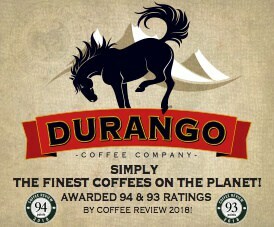 Visit https://www.directcoffee.com.tw/ for more information. The Bottom Line: A rich, sweet Yemen cup, the essence of dried fruit, nicely nuanced by sandalwood-like aromatic wood notes.